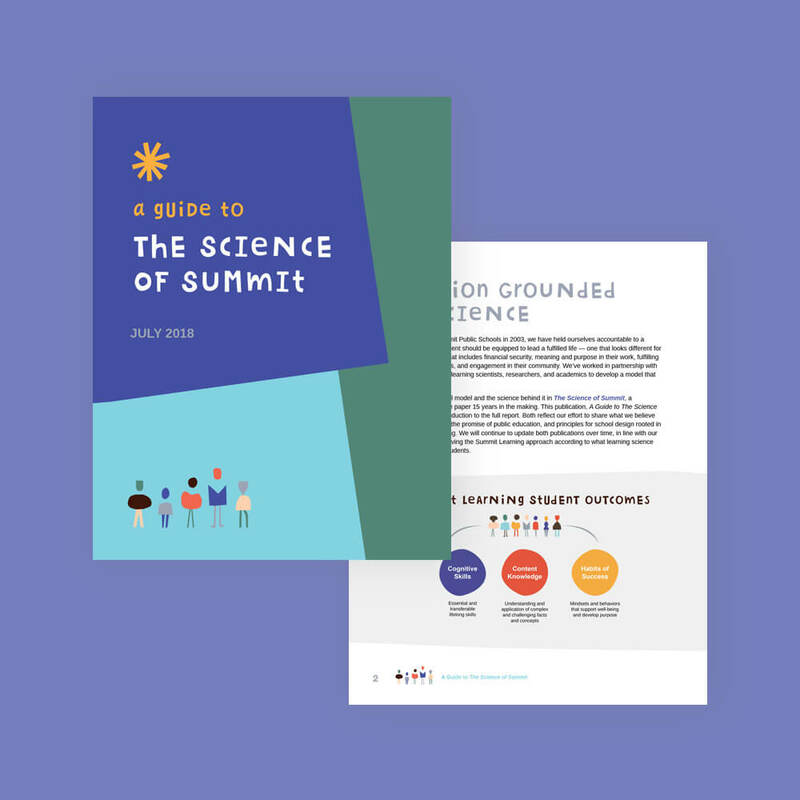 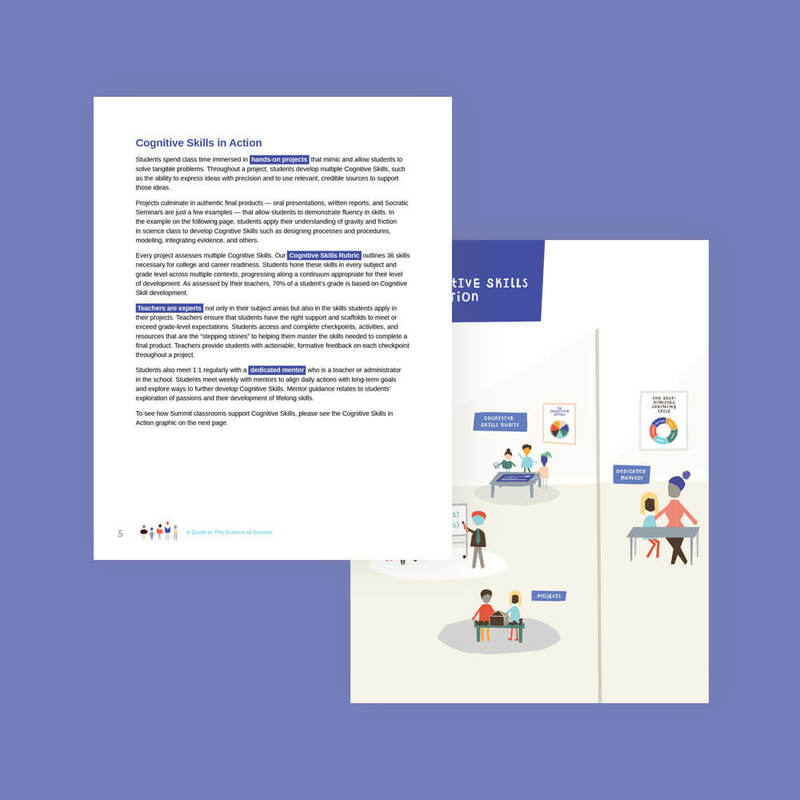 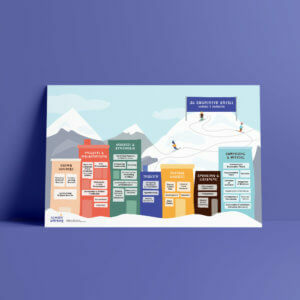 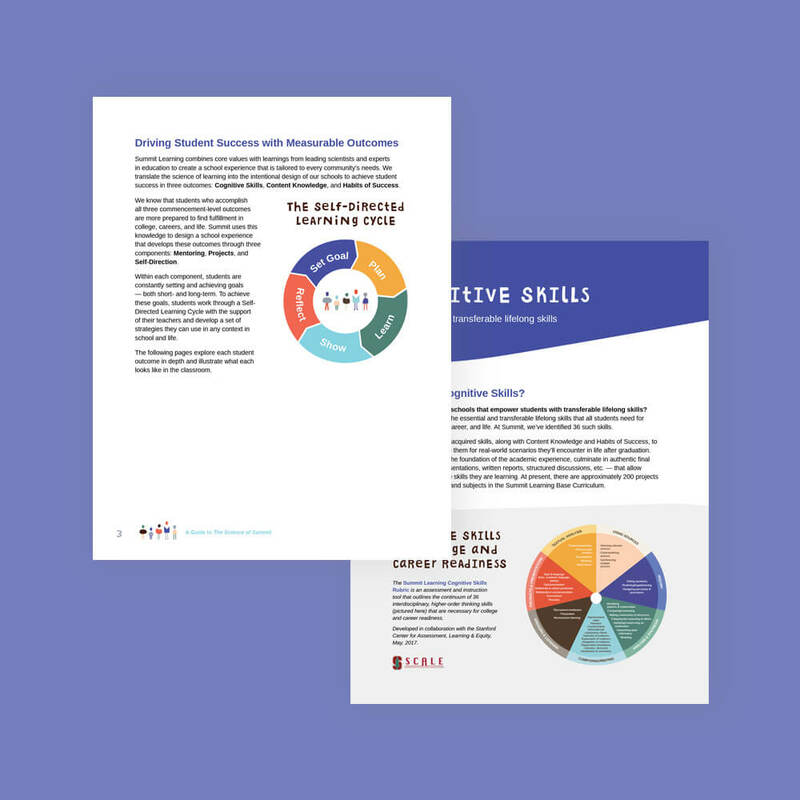 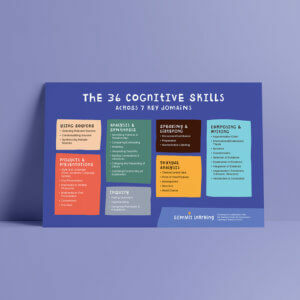 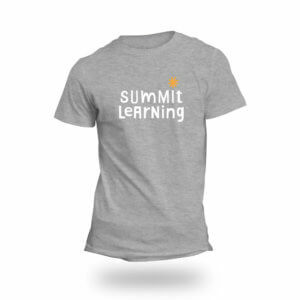 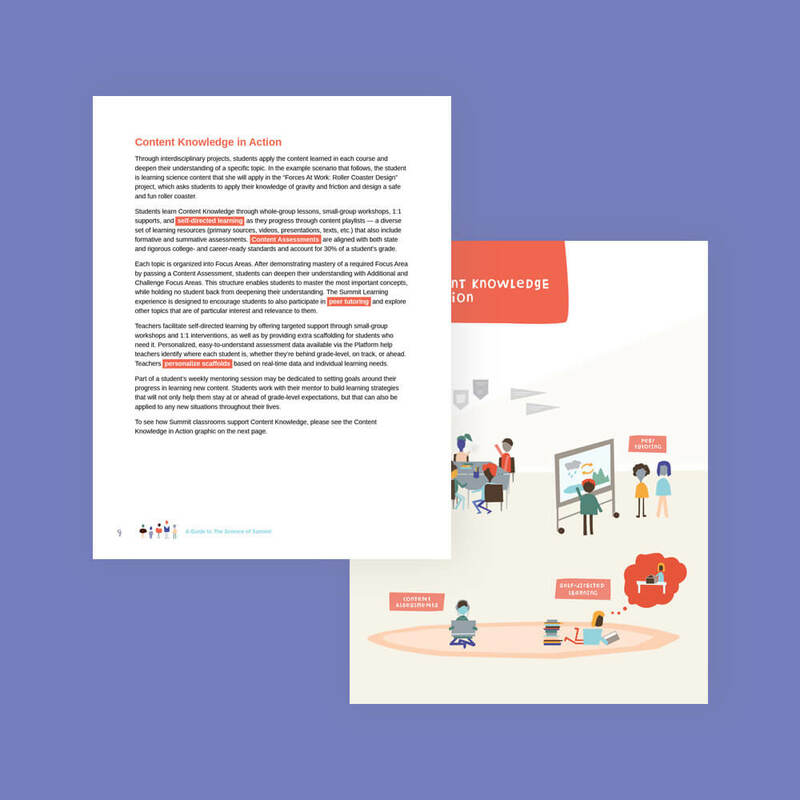 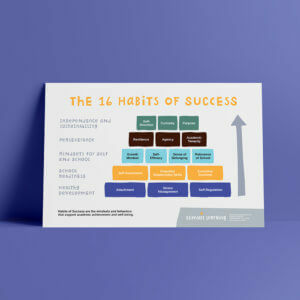 This 16-page publication is geared for educators, parents, and community members interested in learning about Summit Learning’s student outcomes: Cognitive Skills, Content Knowledge, and Habits of Success. 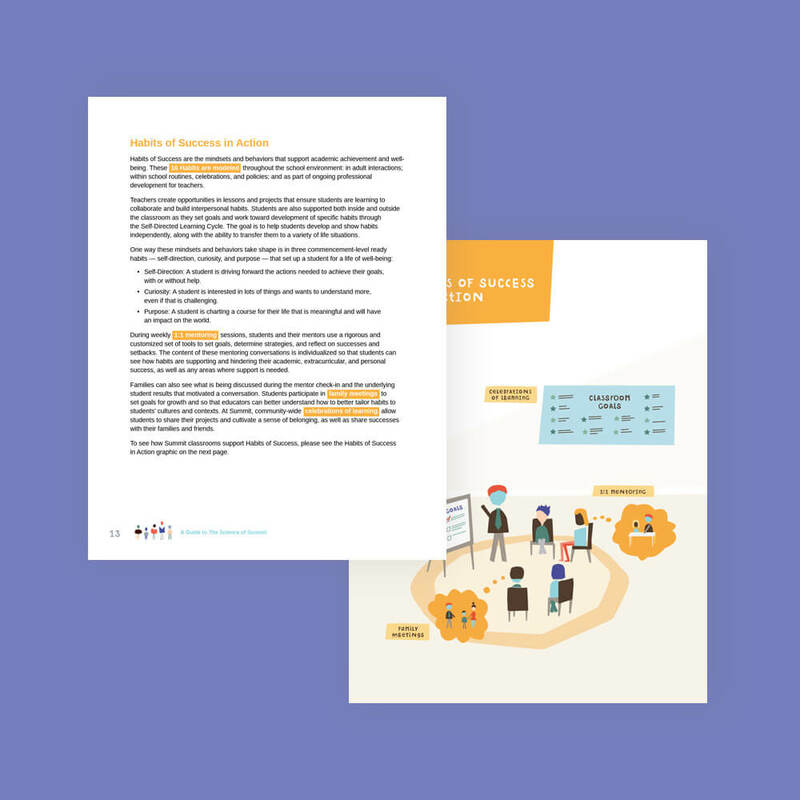 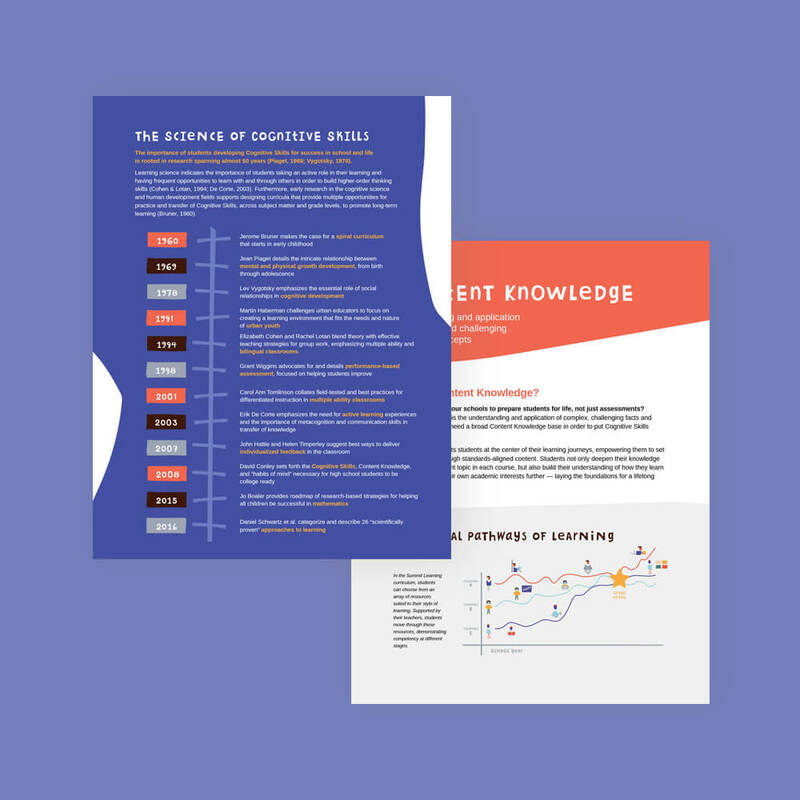 The guide outlines each outcome, provides a visual for how each outcome is practiced in the classroom, and includes a timeline of research that has influenced each outcome. 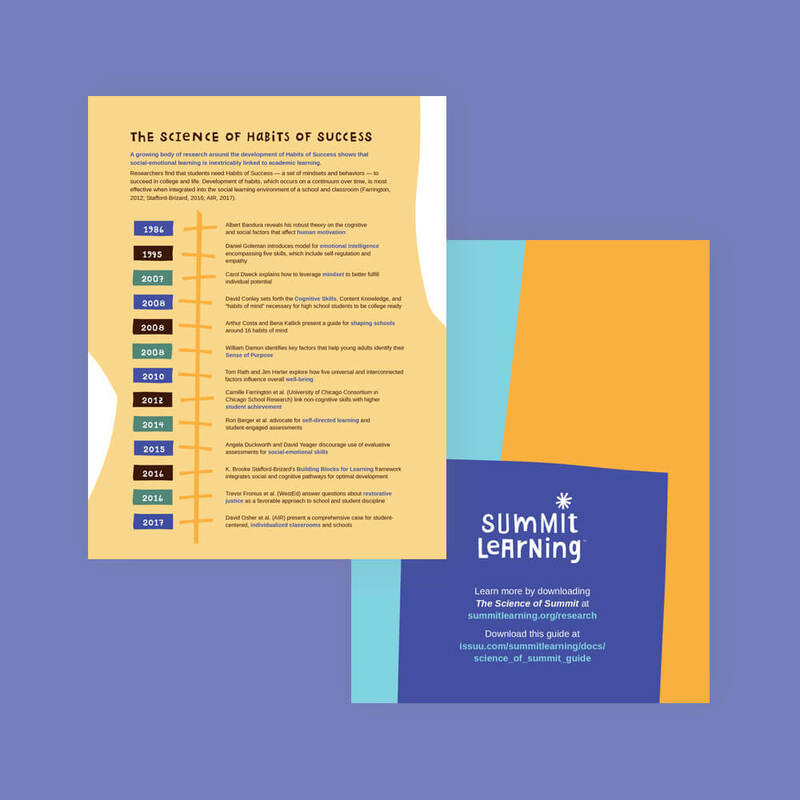 We encourage you to share this guide with your community at back-to-school night and events throughout the year! 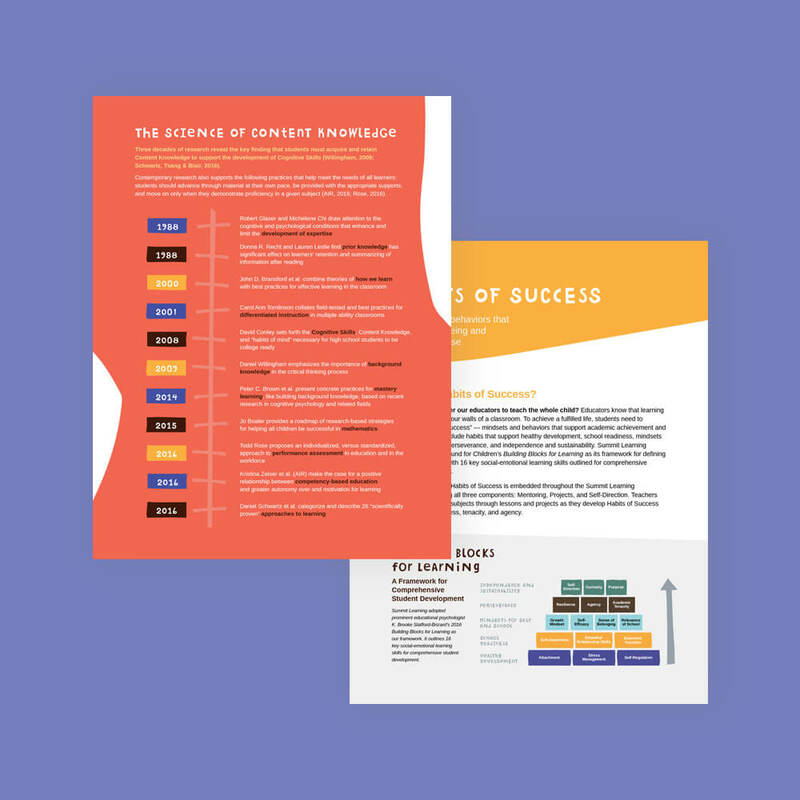 The print version is full color, 16 pages, 100#, with saddle-stitch binding.